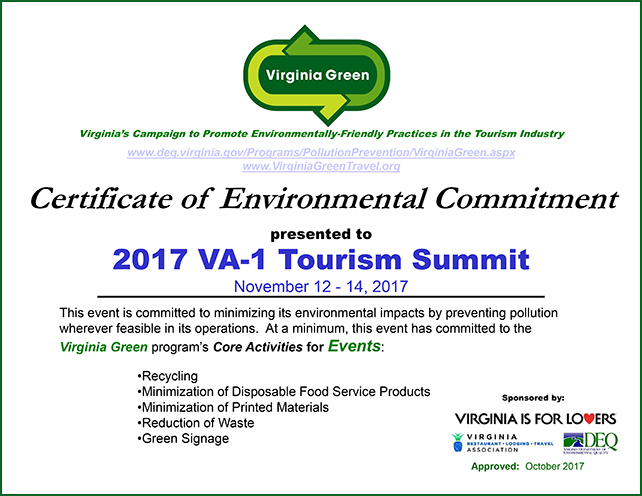 For the 2nd year in a row, Virginia Green has awarded the VA-1 Tourism Summit a certificate of environmental commitment for the event’s efforts to minimize its impact by preventing pollution and waste wherever possible. the Use of Green Signage. For more information on these efforts, view the 2017 VA-1 Tourism Summit Virginia Green Profile.